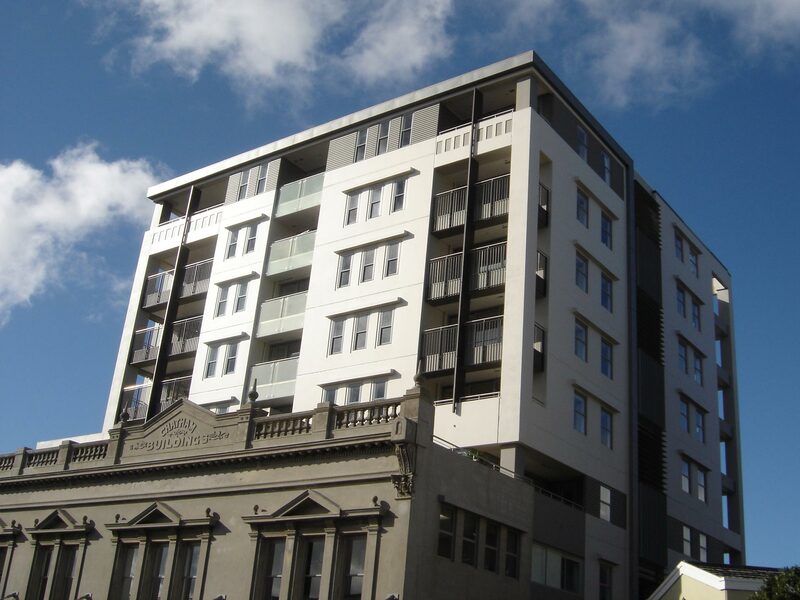 An 8-storey, 48 unit apartment building, built on a compact central city site. Exterior cladding was Litecrete 150 mm thick. Architects have chosen precast concrete architectural cladding panels for many years because they offer exceptional versatility, speed of enclosure and durability. Litecrete has further extended the boundaries. No other material provides the combination of textures, shapes, surface details, fire resistance, acoustic values, insulation, moisture resistance, low maintenance and accelerated construction schedules. But the key benefit is that Litecrete can also offer solutions to designers and engineers when developing a building’s steel or concrete superstructure – especially in poor soil, high seismic or recladding applications. Litecrete can reduce the weight of normal concrete cladding panels by 50% while offering insulation and fire-resistance standards that exceed the Building Code requirements. When you lower the weight of structural components a multitude of benefits follow, such as: lighter (and less costlier) foundations, reduced seismic loads, fewer connectors, cheaper shipping costs, smaller cranes.